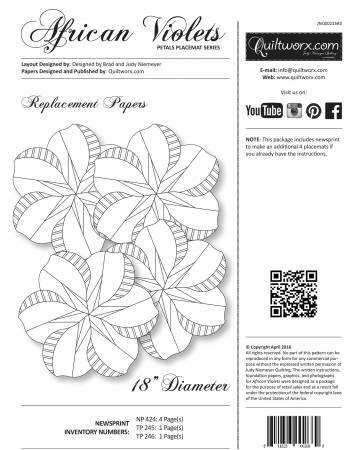 Set of replacement paper for Judy Neimeyer's African Violet paper piecing pattern. NOTE: Replacement paper only. This does not include the pattern which much be purchased seperatekky.